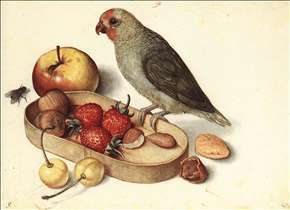 German painter. 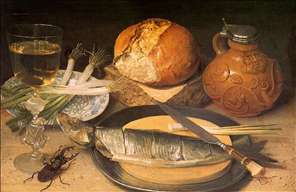 He acquired citizen s rights in Frankfurt in 1597 and stayed there until he died. 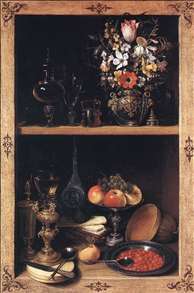 He worked a lot together with the Fleming Lucas van Valckenborch. 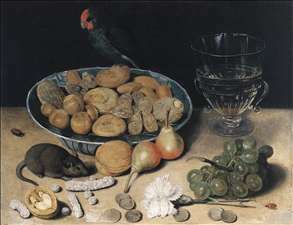 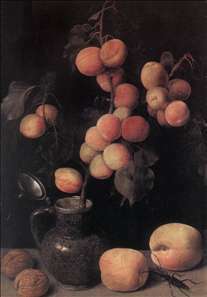 Flegel is considered to be the most important representative of early modern German still-lifes. 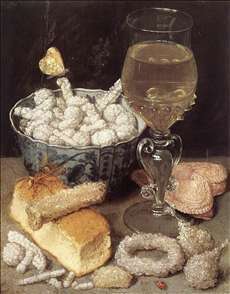 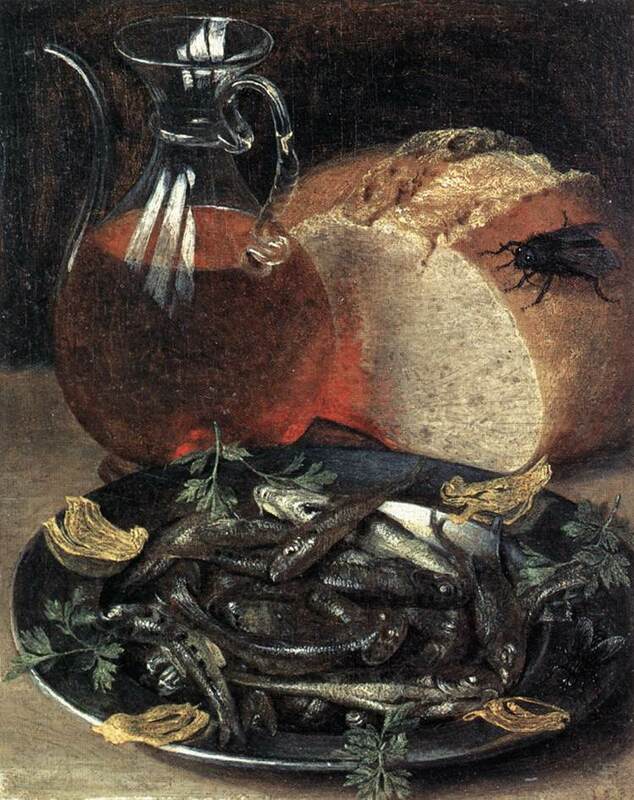 He specialized in so-called meals, banquet, breakfast and flower still-lifes. 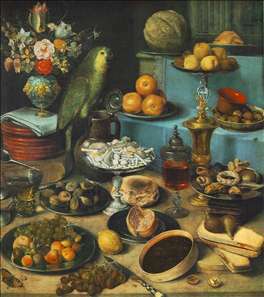 See more details about "Still-Life with Bread and Confectionary"
See more details about "Cupboard"
See more details about "Dessert Still-Life"
See more details about "Peaches"
See more details about "Still-Life with Pygmy Parrot"
See more details about "Still-life with Fish"
See more details about "Still Life with Stag Beetle"
See more details about "Still-life with Parrot"